It is widely accepted that we are most productive when we are happy and having fun. It is also accepted that celebrating success leads to more success. So why is it that fun remains the “F” word when it comes to office etiquette? One of the little things I like to do with my team is to throw confetti, as much as possible, as often as possible. 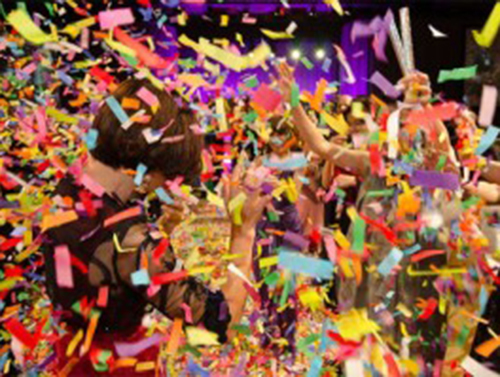 When we have a great idea or enjoy a success we all reach for the confetti bag and toss it into the air together. It celebrates success, builds the team spirit and is just fun to do. It is also a great visual indicator of how we are travelling; When our cleaning lady comes in, if there is not much confetti on the floor she comments that we haven’t been very productive – and its true! !